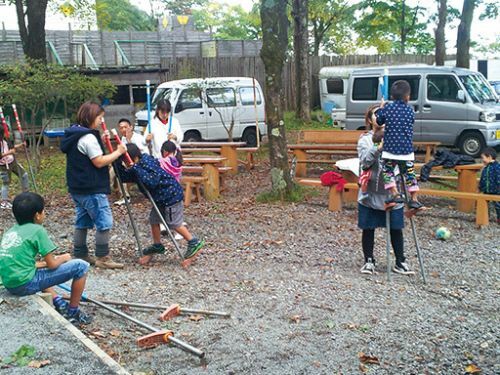 Despite the fact that the campsite is in a remote location in western Takasaki, it is well worth a visit to enjoy cool summer months because of its altitude of 1,100 meters above sea level. 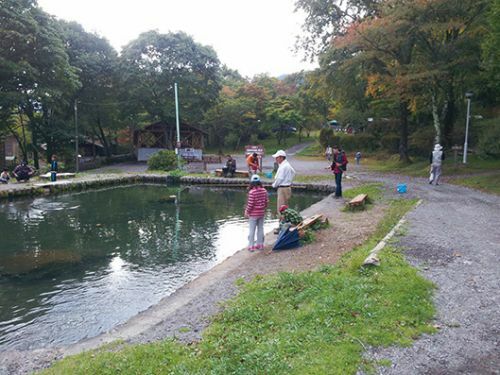 This well equipped campsite has log houses bungalows that are available for overnight accommodation, with a fishing pond which can be enjoyed by all ages as well as a handcraft workshop. For large groups, 3 of the log house bungalows can accommodate up to 20 people, and 7 are available to accommodate up to 10 people. Spaces are also available for camping cars and tents too. Communal facilities are available to hold your BBQ, and if you prefer not to do any cooking, a menu of home made meals are available in the Reception Area. 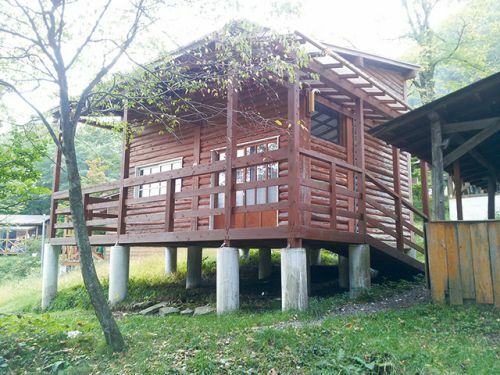 You can also have the opportunity to visit Mun-kun, the resident bear at the campsite. You can also enjoy the spectacular views of the distant Haruna mountain range while hiking many of the mountain trails of Mt. Tsunoochi, Mt. Asama Kakushi and Mt. Hanamagari. And if you are looking for a relaxing hot spring, then you can pop into the Hamayu Sanso Onsen which is just a short drive away. Hamayu Sanso is also the only place Gunma prefecture where you taste the famous noodle dish of “Okirikomi Yokosuka Navy Curry”.